These no fire tokens are ideal for keeping track of, or representing no fire effects in your card games, roleplaying games or wargames. 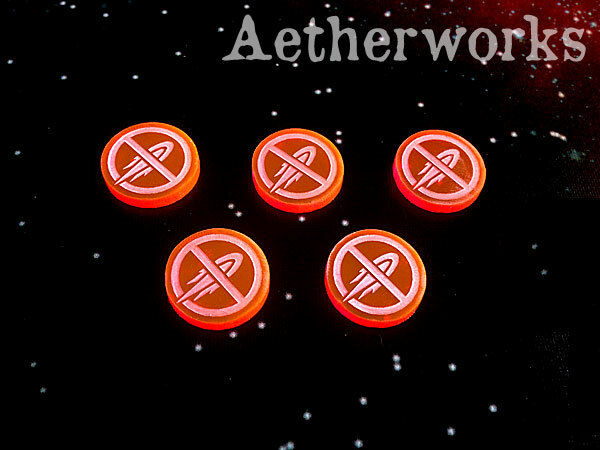 Pack of 5 no fire tokens, made from fluorescent red acrylic. They are 3mm thick.